At Cyclingstage.com, we aim to intensify the thrill of the race. Subscribe to our Newsletter for free and you are entered into a draw to win a free cycling jersey of your favourite team! Featuring all relevant information on upcoming races, our newsletter is sent prior to the start. 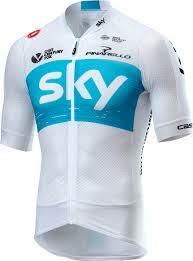 Subscribing is for free and subscribers are entered into a draw to win a free cycling jersey of their favourite team. Possibly, the confirmation email will be caught in your spam or social map. Please check the junk folder and, if so, mark it as “not junk”. This way you should be sure to receive our upcoming newsletters where it belongs: in your inbox. Cyclingstage.com is the place to be for cycling fans. We cover all the major races, ranging from the classics to shorter stage races and all three grand tours. Do you know the start and finish times (C.E.T) for this years Milan San Remo? I am organising a club run and wanted to watch the final hour of the race after the club run. Enjoy day-to-day coverage of all major cycle tours. I will be so happy ; I will do 50 km without a saddle ! Pity Contador is not racing, would be a good 5 way fight for Red! love cycling .. greenedge and giant alpecin .. go boys!!! The tours in Europe are fantastic to watch. The Tour de France is the most fantastic race and we are glued to the TV so as not to miss any. will be good to get updates of stages.